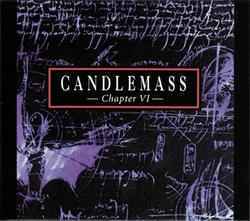 Bonus Tracks: "Candlemass Sjunger Sigge Fürst"
Issued in a Super Jewel Box. The bonus tracks are from the 1993 EP "Sjunger Sigge Fürst" and features covers of songs performed by Swedish singer Sigge Fürst in the 1940s and 1950s. The song "The Dying Illusion" was first called "Night Of The Witch" and it was originally performed by the former singer Messiah Marcolin on the 1991 US tour.